One of the reasons I wrote Raising Baby Green was to help parents easily sort through and prioritize which baby products area healthiest and safest for their children. In the book I suggest alternatives for plastics containing Bishphenol A (BPA) – a hormone mimicker found in most baby bottles. Within the last week BPA has been in the news as a draft report of the federal US Toxicology Program raised concern that BPA could trigger behavior problems and early puberty in children; Canada moved to ban BPA in baby bottles, citing evidence of increased risk of breast cancer, diabetes, and hyperactivity; Wal-Mart, Toys-R-US, and Nalgene announced that they are moving to phase out BPA in many products within a year; and the American Chemical Council announced that they still consider BPA safe for babies. These are all important developments. 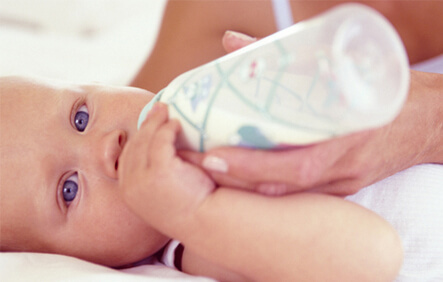 But BPA is found in other places besides baby bottles (such as the linings of food and formula cans). And BPA is only one of the concerning ingredients in some plastics. And plastics are only one group of concerning exposures during pregnancy and early childhood. But there is no reason to be overwhelmed. By taking control of only a few routes of exposure you can change the impact of the environment on your child: things that go in the mouth, things that go on the skin, and fumes and aromas in the air. In each category, increasing healthy exposures and decreasing concerning ones can help tilt the odds in your child’s favor. Simple changes in each arena can make a big difference, without much cost or effort.